Rodrigo Registered This month on our platform and agreed to TAKE our interview. We are happy to share his answers here. 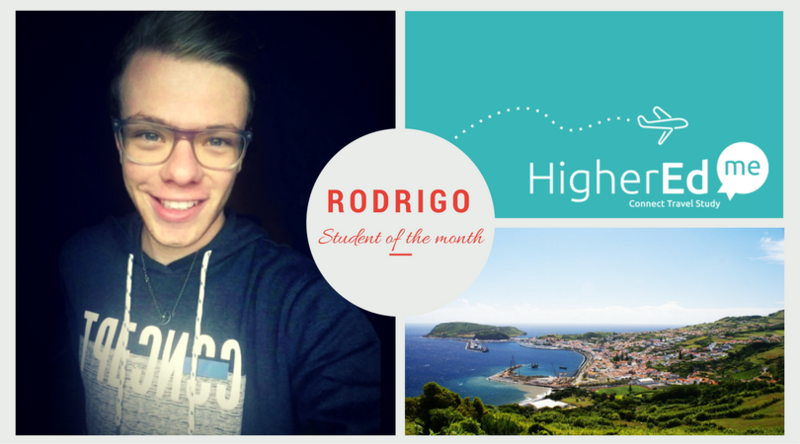 Welcome to HigherEdMe Rodrigo! What makes you like your study field? I study psychology. I’ve wanted to become a psychologist since I myself started seeing one. I find the job really fascinating and I believe understanding human behaviour is a really good way to understand people in general. Moreover, I want to be able to help people in the future, so that was also one of my motivations to study psychology. Where are you from and where do you want to go? What do you like in your home country and what are you looking for in the country where you will study? 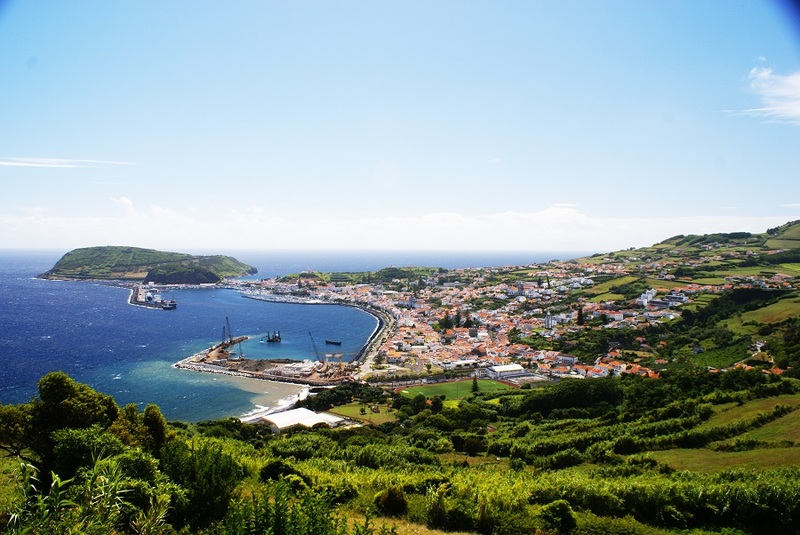 I’m from Portugal, more specifically from the Azores. Yes, I live in the middle of the ocean, on an island. 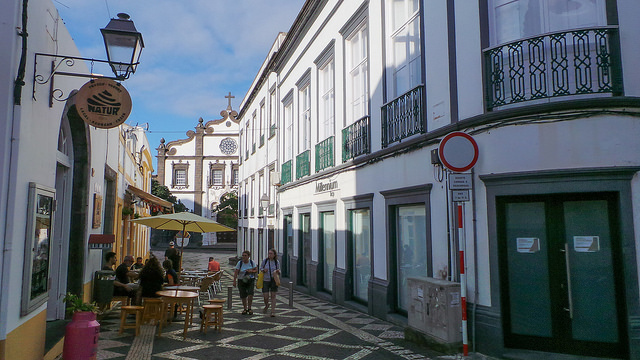 I like the fact that it’s a very calm place to live in and that there’s a lot of nice people here. I would love to study abroad, in Italy, because I’m fascinated by Italian cuisine and the Italian culture in general. I absolutely love the Italian language, I’ve studied it for around 3 years now and I’ve really fallen in love with it, having become my favorite language. I want to improve my Italian and being able to mix that with studying psychology would be a dream come true to me. If there is anything you’d like to say to Universities who will see your profile or if you want to add something, feel free to do it. I’m just a simple person who is looking for an academic experience abroad. All I want is to be able to discover a different place, be immersed in a totally different culture, study my passion and, hopefully, make lots of friends while I’m studying! One of my dreams is to be able to do that. I’d like to know more about your hobbies and what what do you enjoy doing when you have spare time? My hobbies include hanging out with my boyfriend, be it at home or out, listening to music, reading and going to the gym. Sports have always been part of my life; gymnastics and volleyball are among my favorite sports. Is there a personality trait about you that you are proud of? What is it and why? One thing I’m very proud of is that I’m a very hardworking person. I always try to do my best and give it my all when I’m working on a project, and studying abroad would be no different. If you can go abroad with a friend, which one and why? I would love to be able to go abroad with one of my best friends. I actually haven’t thought about anyone in specific, since I’ve never discussed this with anybody, besides my boyfriend and parents. I wouldn’t mind going and enjoying the experience all by myself. It would be no problem at all; I’m sure I’d make lots of friends and get to know a lot of people abroad.